Which regulations apply to your company? 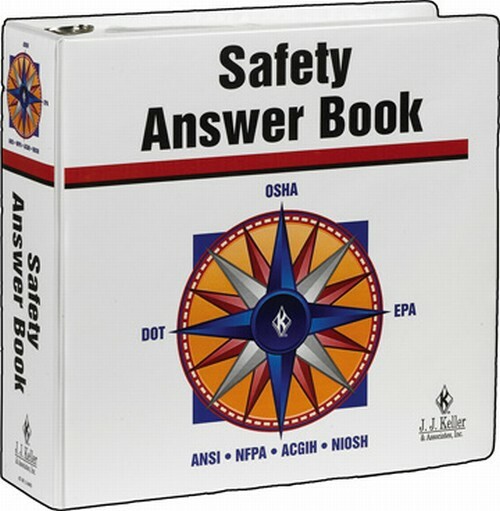 Don't guess - use the Safety Answer Book for fast, accurate answers! Here's a quick, convenient way to find out which key OSHA, DOT, and EPA regulations apply to your company. 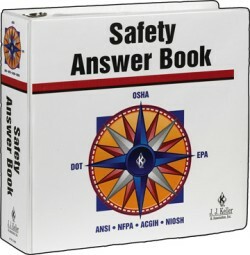 The Safety Answer Book is carefully organized to help you answer basic compliance questions, pinpoint who you need to train, figure out what your employees need to know, assess which safety plans and policies you'll need, and more. You'll find 90+ different topics covered in easy-to-understand language. Got a question on forklift safety... fire protection... first aid? You'll find it fast in the Safety Answer Book! Loose-leaf, 3-ring bound. 977 pages.